Perry was born in Birmingham, England, and emigrated with his family to New Zealand at the age of ten. At the age of nineteen he joined the Salvation Army, and in 1885 was posted by the Army to Australia. Following the early death of his wife Perry turned to his hobby of photography to help support his three young children, setting up a commercial studio in Ballarat. Perry's abilities as a photographer, along with his imaginative use of advertising lantern slides projected in the streets of Ballarat, led to his appointment by the Army as their official equipment operator and the creation in 1892 of the Limelight Department, with Perry taking full control of this in 1893. Originally using projected lantern slides as both advertisements and illustrations to lectures, the arrival in 1896 of the new Salvation Army Commandant for Australasia, Herbert Booth saw the introduction of projected film, stimulated by the arrival of a number of projectors into Australia. Perry purchased a Motorgraph, produced by the London firm of W. Watson and Sons, in February 1897. After a private exhibition to Army members in March Perry undertook his first public screening at Albany on 4 April 1897, attracting large crowds. 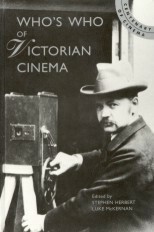 He toured Australia for the next two months before turning to the production of his own films, beginning with a Melbourne street scene in October 1897. Serious production began in February 1898 following the construction of a glass-walled studio at the Army's Melbourne headquarters, completed in February 1898. Used for the production of photographic slides as well as films, the studio was to remain Australia's main film production centre until 1907. The purpose of the Army's film production was chiefly to raise funds, with touring lectures accompanied by a mixture of films, slides and wax cylinders, but they also eventually took commissions and offered a film processing service. 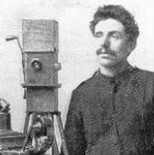 Under Herbert Booth's direction Perry shot many actualities and Australia's first narrative films, including the 'multi-media' presentations Social Salvation (1898-99) and the famous Soldiers of the Cross (1900) (for details of these films see Booth entry). In Chris Long's phrase, the Limelight Department 'shot film for propaganda, patronage and profit', and did so on all three counts with great success. While they retained a single camera (a Lumière Cinématographe), which restricted the films of their narrative works to minute-long sections, Perry shot everything. Late in 1900 Booth fell ill and Perry formed his own touring company, the First Biorama Company. Booth was becoming increasingly distanced from the Army, departing Australia in 1902, though the Army's interest in film continued to flourish without him. Perry produced a two-hour show Under Southern Skies in 1902, a documentary on the history of Australia, but he thereafter turned increasingly to secular commissions, including many news stories. In 1908 a new studio was constructed by the Limelight Department and in 1909 Perry produced Heroes of the Cross (a remake of Soldiers) and The Scottish Covenanters, but they found that film competition in Australia had become too great and the image the cinema now held was deemed by the then regime as not suitable for the Army, so the Limelight Department was disbanded. Perry took up work in the commercial film industry, joining Co-operative Films and distributing in the Dutch East Indies throughout the 1920s. His sons Orizaba, Reginald and Stanley all had long careers in the Australian film industry.